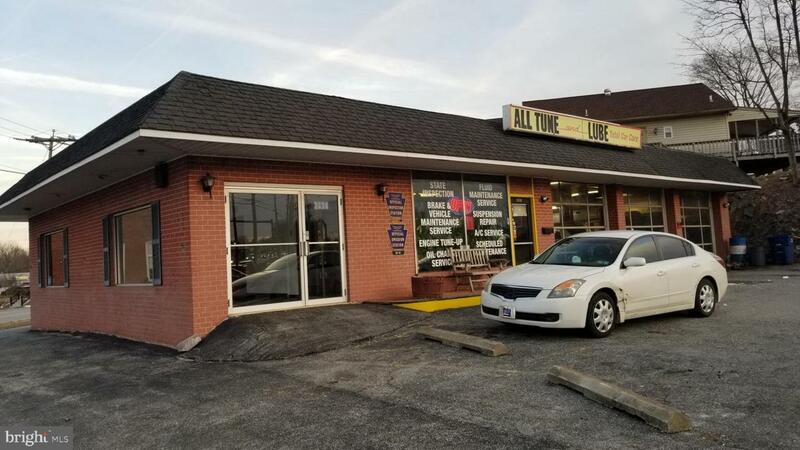 This location offers a unique opportunity to own an auto sales lot on Rt. 462 (E. Market St.) in York, PA. With an average of 19,987 vehicles per day going past. This sales lot has room for 20 plus cars and includes a one car showroom with offices. The site has the additional benefit of a tenant lease in place until July 31, 2023. The current All Tune and Lube Lease covers the remaining office space and the three vehicle bays and creates the perfect mechanism to off-set the cost of a mortgage.